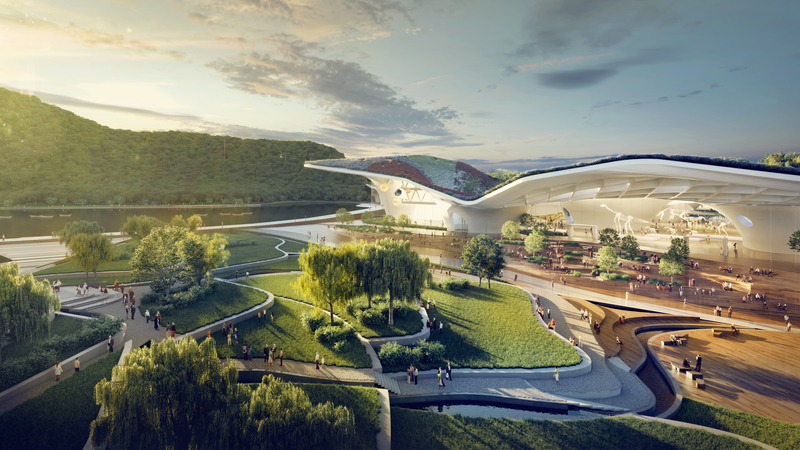 Kilograph created a suite of renderings for Kevin Daly Architects, supporting the 2nd stage of their design proposal for the Center of Science and Technology Museum in Suzhou. 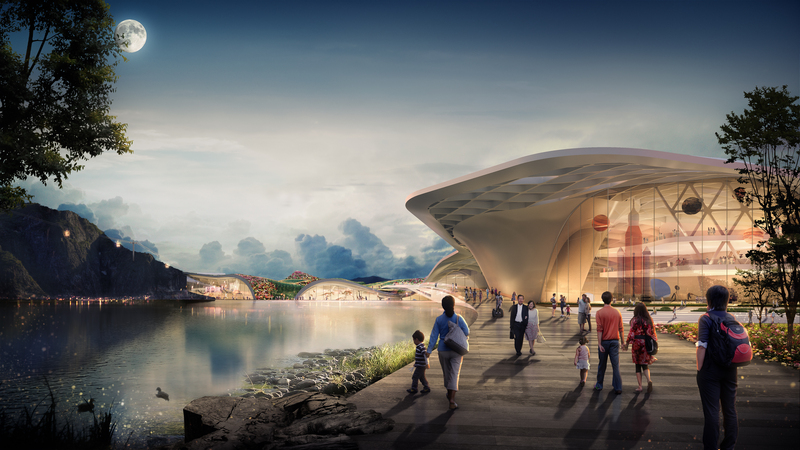 The designs incorporated landscape as an important feature due to the city’s history and 'setting at the intersection of city and nature.’ Landscape strategies utilized a large park surface pressed into piers and a topographical form. 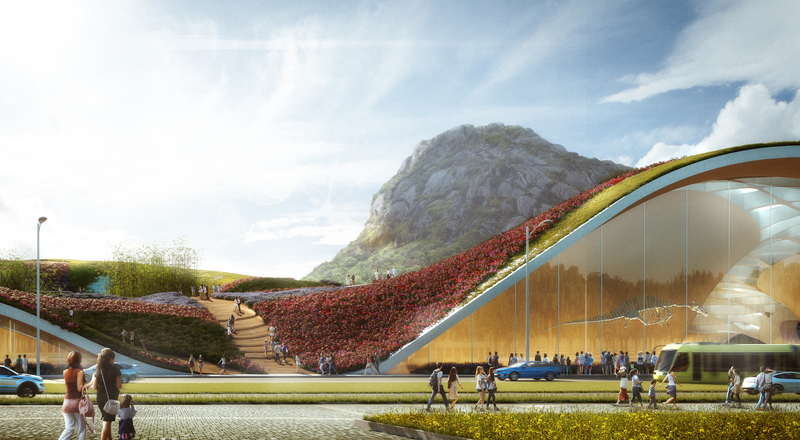 The museum’s roof itself is landscaped as part of the park. 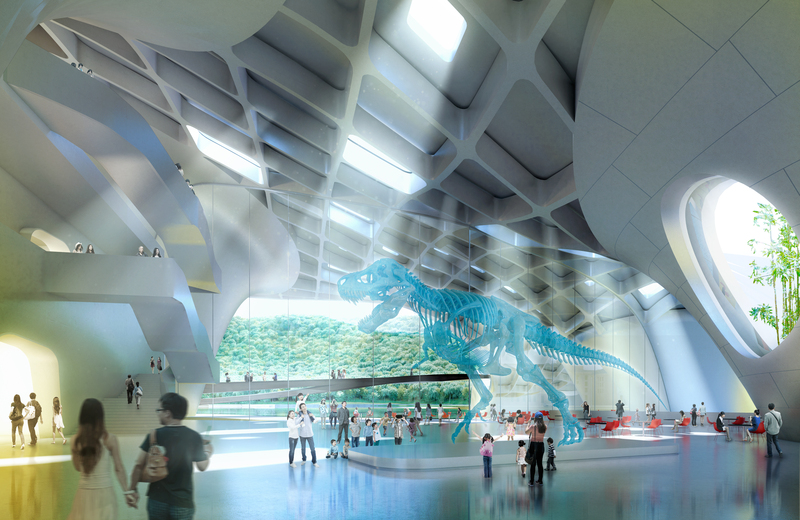 The development includes a Children’s Science Park, a Great Hall, Temporary and Permanent Exhibitions, and the Industrial Pavilion.